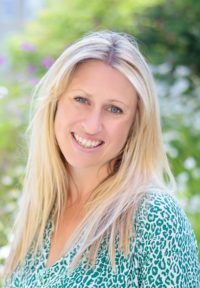 The Girls' Adventure Club (Rock the Boat, 2020) is a contemporary series for 5-8 year olds from debut children's author Emma Beswetherick. The books tell the stories of a group of girls as their playdates develop into a series of exciting adventures in which they are the very proactive heroines. In the first book, The Wishing Star, new friends Katy, Cass and Zia have waited weeks for their first playdate at Katy's house. Now that it's finally here, they're off on an out of this world adventure with Katy's cat Thunder, zooming into space to see the Wishing Star constellation. But when stardust shows them the future of planet Earth, will the girls be able to put their own wants aside and make selfless wishes to help the world? Emma lives in South West London with her husband and two children. She devised the series after having difficulty finding books for her daughter that were as exciting and adventurous as those available to her son. Emma is a publisher at Little Brown where she heads a boutique list.